Labour Senator Aodhán Ó Ríordáin has said the Department of Justice is institutionally incapable of showing any humanitarian outlook towards refugees and asylum seekers and is not fit for purpose when it comes to dealing with those issues. Mr Ó Ríordáin, a former junior minister with responsibility for asylum seekers, said a Government decision to revert to an Employment Permit Act is very disappointing. The act means asylum seekers would need to pay up to €1,000 for a work permit, and find a job that pays at least €30,000 a year before they are able to work in Ireland. It follows a Supreme Court ruling last year, removing a ban that prevented thousands of asylum seekers from working in Ireland. Mr Ó Ríordáin said the move also restricts asylum seekers from looking for work in more than 60 areas, including childcare, social work, marketing, sales and administration. "I don't think the Department of Justice are fit for purpose when it comes to dealing with this sensitive issue. It's deeply frustrating when it's quite clear there's just a lack of sympathy, a lack of area empathy in terms of this area," he said. He pointed out that only Ireland and Lithuania have a ban on asylum seekers working. The IRC has called for access to the labour market to be as unrestricted as possible. They have also called for the right to work in Ireland to be made retrospective. 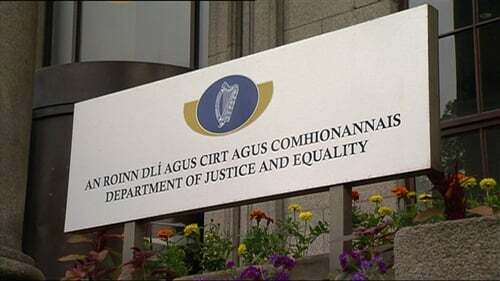 A Department of Justice spokesperson said that the application of the Employment Permits Act is an "interim measure". The State is applying to opt into the EU Reception Conditions Directive, which addresses the right to work of asylum seekers. This cannot happen until roughly mid-2018, after a Dáil debate and Commission acceptance, and only then can the directive be implemented here. The department said an implementation group is working on how the system will operate, and hope to establish this "as quickly as possible". The spokesperson said it was the department's anticipation that access to work would be on wider terms than the Employment Permits Act and that the fee structure would not be the same.